Kidwell Graduated in May 2016 from College of Arts and Sciences with a degree in English. 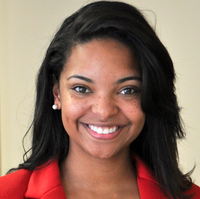 Shacoya Kidwell discusses her research Fulbright Scholarship award to Trinidad. Kidwell Graduated in May 2016 from College of Arts and Sciences with a degree in English.